All of our products reflect the guiding values at Howling Dog Farms – producing the highest artisan quality, working with nature, and always striving for the perfect harvest. From our farm to your hands, you can trust that Howling Dog Farms cannabis is made with care. Always sun-grown, never touched by pesticides. Our Propane Hash Oil is our most illustrious product. 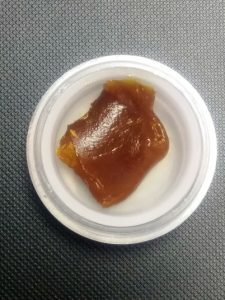 We start with small batches of premium, natural flower, and end with an extract that is cleaner, stronger, and more delicious. 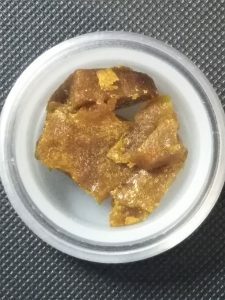 Running smaller batches of product, and following it up with a four day curing process, we produce only top of the line extracts, with some of the best results available on the market today. There are always little to no residuals. Our PHO is a class all of it’s own. 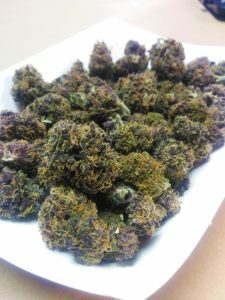 This UW x Purple Kush is an indica dominant strain that is certain to please your taste buds. With heavy sedative effects, you can expect to enjoy pain relief, as well as help with insomnia. UW x Purple Kush is definitely a strain you will want to enjoy when you have time to relax. This beautiful batch of Five-O is a perfectly balanced hybrid strain, with a total cannabinoid content of 91.80%. With a terpene profile of 5.10% this strain has a delicate citrus flavor and would couple nicely with a day of hanging out with friends and exploring your neighborhood. 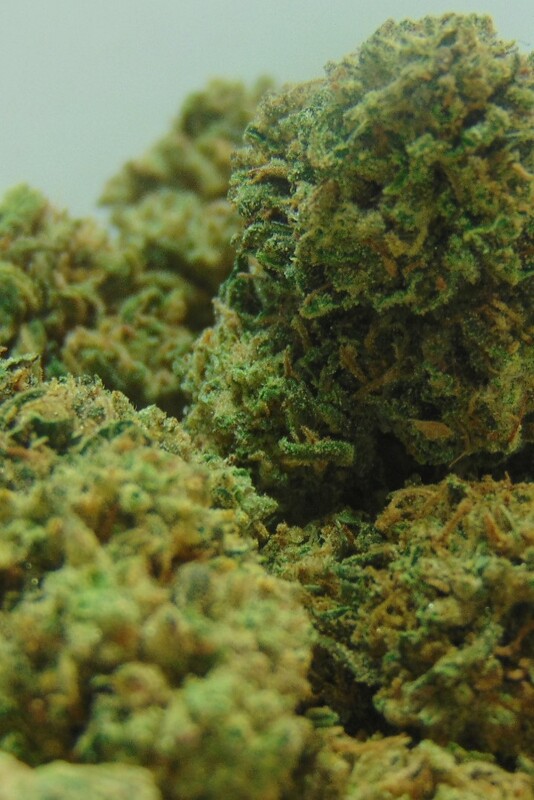 Sweet Island Skunk is one of our house favorite sativas. Packing a punch, this strain is the perfect choice for days when your energy levels are low, but you still have things to get done. With sweet citrus flavors, you are sure to be satisfied with this strain. Here at Howling Dog Farms we cultivate only the finest, sun grown, natural cannabis. Every product used on our plants is organic and clean, allowing you to get the best effects and flavors possible. Where’s My Bike is a headstrong sativa, that has a delightful taste of citrus and cheese. This strain is packed with flavor and provides an energy boost- no matter how long your day has been. 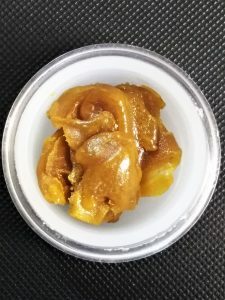 You definitely want to smoke this strain when you want to get things done! Grape Ape is one of our favorites here at Howling Dog Farms. This strain is a hard hitting indica that will aide you in relaxing and unwinding from your day almost immediately. With a clear grape taste, as well as hints of berry you will enjoy the flavors as you feel the wave of relaxtion with every puff. 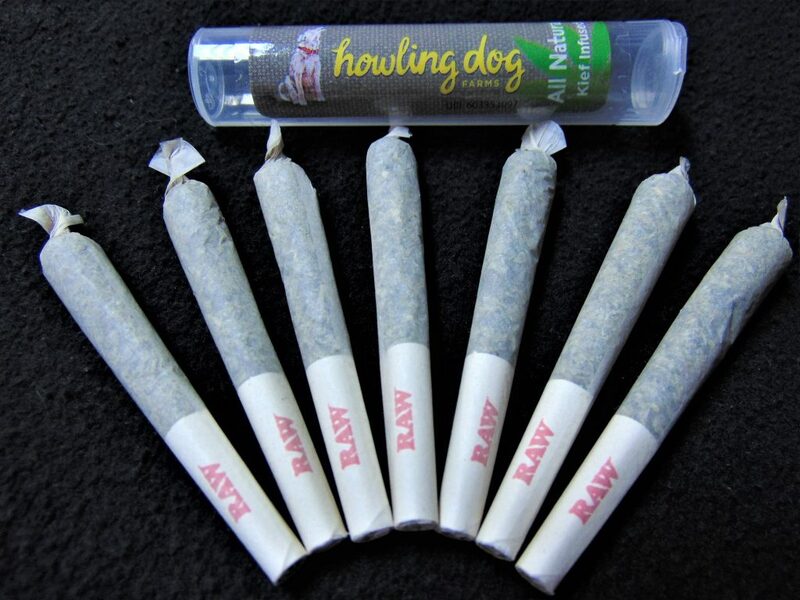 At Howling Dog Farms, we are committed to bringing you nothing but top of the line product. That’s why all of our PreRolls are carefully infused with some of our most delicious kief, and then packed either as one half gram, or two half grams. These PreRolls make for a perfect companion for any occasion.